The Nigerian Air Force Saturday announced that more Boko Haram Terrorists are being attacked with air strikes in Sambisa as parts of efforts to deny the insurgents opportunity to recapture any of the nation’s territory. According to the Air Force, Battle Damage Assessment showed that the building housing the terrorists and the terrorists were neutrilized after the bombardment of the area by the fighter jets. 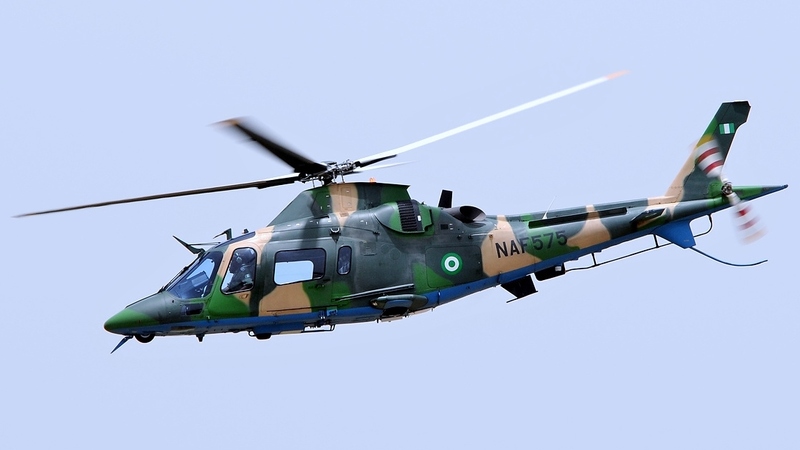 A statement by the Director of Public Relations and Information of the NAF, Air Commodore Olatokunbo Adesanya noted that in the closing stages of the Operation Ruwan Wuta II, the NAF air interdiction were focussed on the hideouts of the terrorists in Sambisa. The statement supported with a video clip reads: “In the closing stages of Operation RUWAN WUTA II, the Nigerian Air Force (NAF) continued to rain significant fire on Boko Haram Terrorists (BHTs) hideouts, with intensive day and night aerial bombardments. ” On 30 October 2017, the NAF conducted an air interdiction mission on a blue-roofed structure in TALALA, a BHT infested location in Sambisa. “Intelligence reports from NAF Intelligence, Surveillance and Reconnaissance platforms as well as Human Intelligence had revealed that a sizeable number of BHTs were holding a meeting in the blue-roofed building. ” Consequently, a NAF fighter aircraft was scrambled to attack the building. Subsequent Battle Damage Assessment revealed that the building and its occupants were neutralized as a result of the air strike.